When the end of the month rolls around I spend about three hours in the morning finalizing my incoming and outgoing business expenses. It always gives me a laugh to notice how one month can seem extremely busy and productive yet I don’t see the results financially while other months I am spending more time going hiking or swing dancing than working, yet I make a (relative) fortune. Such is the life for the entrepreneur. Our incomes are never truly regular unless we are disgustingly wealthy and/or own property. This may not seem like a very comfortable life to some. How can I sleep at night knowing that if I do not keep working I will suddenly stop making a living? What would happen if all my clients suddenly told me that they were sick of me and didn’t want to work with me any longer? It may sound scary, but I can tell you this much: I am much more secure and a heck of a lot happier with the irregular income. This was true even when I was earning less than at my previous job. Not only that, but I would never want to earn a salary. This is true even if it were a 6-figure salary with benefits. Even in today’s economy. Even doing the same, exciting work I do now. Even if I got a free palette of wonderful office bagels each morning. I am not joking. Salaries are the devil. True, this might seem like a ridiculous over-generalization. But read on and check out my reasoning for yourself. 1. Your “raises” are paltry when spread out over a long period of time. The average pay raise next year is expected to be about 3% in the United States. While this does stay ahead of the rate of inflation, spread out over a 30-year period this is actually pretty sad. Here’s why. This might not sound too bad, but $97,000 per year in 2044 will be worth about $54,000 or so in today’s dollars (this is given a rate of inflation approximately based on the article above’s projections for 30 years). So essentially you have gone from a healthy, eager, young loaf counter making $40,000 a year to an obese old bread loaf manager making about $54,000 a year 30 years later. 2. A salary really isn’t really all that secure! One of the benefits of working for an industry is that the industry, barring extreme conditions, can’t tell you what you are worth. For example, if you are a wonderful painter working in coastal North Carolina and you have many well-off clients, you can raise your prices. Sure, you might lose a couple clients, but you will be able to reap the rewards of years of hard work for picking up those clients in the first place. If you work for a painting company at a salary you can’t just raise your rates. Your boss would find cheap dime-a-dozen manual labor somewhere else. And if you boss hits a tough painting market… let’s say continuous hurricanes are slamming coastal homes over and over, stripping out so much paint that customers are disappearing… but makes the dubious decision not to lower his rates, you are up a creek when the business goes under. In the same scenario, if you are running the show, you’d likely just run a hurricane special or something. This example might sound a bit farfetched, but as a general principal you can see how working for an industry rather than working for someone else, and using your own mind, can actually be far more secure. When you are in control of your salary it is you who calls the shots. And when it’s your standard of living on the line rather than someone else’s you are far more likely to make good decisions. 3. It will take a really long time to become wealthy with a salary. I have a fun calculator to show you. But first, let’s define what wealthy is. A lot of us think that this means we just have gobs and gobs of money sitting around. Not so. If Peter Successful makes $200,000 a year but has eleven kids to support and lives in a mansion with a million dollar mortgage, he isn’t wealthy. In fact, he’s probably pretty poor by any economist’s definition. The true state of being wealthy is being able to afford to live for the rest of your life without having to work. The term “independently wealthy” fits into this category with a greater degree of ease, but for the purposes of my definition they are the same thing. These days, in order to realistically become wealthy, most individuals need in the order of $700,000 or more wisely invested in retirement accounts and/or other assets. There is a great calculator over at Bankrate that will tell you how much you will need in the bank at various rates to retire. If you check this link out and try the calculator, when they ask you to calculate your rate of return, estimate very conservatively – no more than 6% to be safe. Wealth for one person might be $4,000,000 in the bank, while for another it might be $400,000. It all depends on your lifestyle, location, expenses, dependents, and other assets. If you use the calculator above to determine your “wealth figure” what you will figure out very quickly is that you probably need more than you think you do. The real point is that you are not going to reach “independently wealthy” status with a salary until you are in your early 60’s or later unless you live WAY below your means. True, there are some people who have made a goal to retire very early by saving a huge percentage of their paychecks this can work and it is possible to become wealthy extremely early, but by-and-large your salary is an income cap. Why should you only be paid what someone above you thinks you should be paid with very little say in the matter? 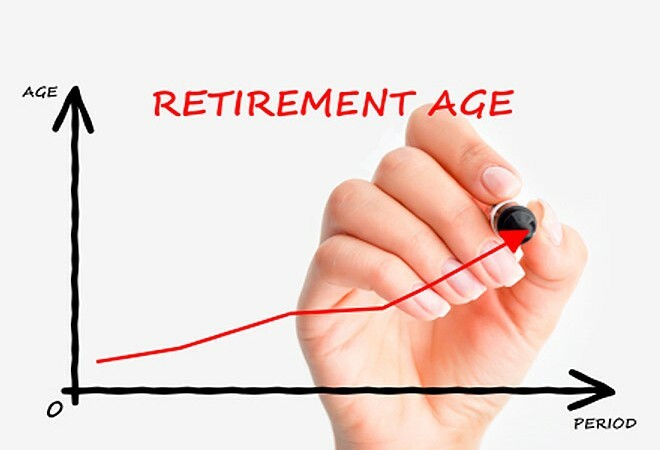 Why should you wait 30+ years to retire? If you run a business, get into real-estate or even work in sales… anything that allows you to have control over your earnings, you don’t have these earning caps. You can plan to retire much earlier. If this isn’t one of your goals (not having to work) what are you doing on this website, anyway? 4. Your entire life is capped. Going back to my earlier point on a salary being the final say in the matter of your earnings for the work you do, it is also a cap on your lifestyle. If you earn $30,000 a year you can perhaps budget for a vacation to the next state to watch a baseball game and stay in a Best Western over a long weekend. There is nothing wrong with this. But the fact that you have already decided that this is the best you will be able to do for the coming year shows that you have admitted that your earnings are frozen at a specific number. The mentality of someone who has been in the rat race for years is to make these future plans on a budget well ahead of time. They have become so mired in a system where they are paid a set amount in exchange for copious amounts of their time and energy that their only vestige of control remaining is the work up a budget and use that to buy some fun, or a big TV for the year. Sure, you could take a second job and another salary, but you are just trading away more of your time for the same (albeit slightly higher) final number at the end of the year. And so the Best Western and the baseball game in late July beckon. It does not have to be this way. A salary dictates your entire lifestyle, and keeps you trapped in this lifestyle. 5. It is an often highly inaccurate measure of the value you supply. Take teachers, for example. Do you know what the average teacher’s salary in the US was last year? $44,917. Now, let’s look at the senior executives at Budweiser. I could not find a list of their executive salaries, but based on this profile, it is probably in the order of 6 figures or more. Let’s see… one of these professions directly helps to raise future generations during the most formative years of their lives and the other sits in a desk and prays for drunkenness. But this is an oversimplification of the point and detracts from my main argument. Some of our most important, hardest workers in positions that matter are slaving away for next to nothing but doing indispensable work. I don’t deny that starting a business and/or investing in real-estate with a goal to get wealthy can very easily detract from your value as a human being as a direct contributor to the human race and the planet. That’s also not the point. If you are doing work that has immense value, should your lifestyle match that work? Ideologically, a salary goes wildly against this argument. Someone upstairs has determined that you are worth that set amount. That’s the bottom line. This very often doesn’t match reality. Without teachers, nurses, police officers, firefighters and electricians our society would fall apart. These are not the highest salaries in the world. If you are not earning a salary you have the option to create value and fill a need. There are many examples of successful people who have done this, and their salary hasn’t detracted from their lifestyle. If you are living like a poor person because of your salary you are certainly not going to have the energy to do your job well. Why are there so many struggling teachers? Who determines their salaries? It is a complex question that begs us to ask whether the system of a salary itself is flawed when many of our most valuable professions pay so poorly.